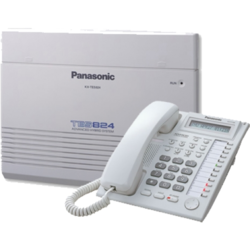 Our range of products include panasonic hybrid 824, coral small digital epabx, center x analog epabx and analog telephones. Designed to support convergence via modular architecture, this IP-enabled system facilitates a smooth migration towards VoIP, allowing voice and data communication to function harmoniously within the same network, assuring additional flexibility in the future. Optional Cards (ESVM) provide added message recording and outgoing message handling capabilities that help ensure calls from your customers routed through properly and are always answered or processed gracefully. The systems include various functions to support cost reductions. SBDX is a digital ISDN designed for applications of small offices and residential customers. 16 minutes of voice mail recording facility with 48 voice boxes. 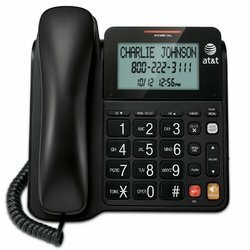 This unique feature allows flexibility of allocating any number of voice boxes to extensions as per user requirements. It can automatically transfer calls from pre-defined telephone numbers to specific extensions thus making it an effective and intelligent switch that would directly land calls from your home to your extension. SBDX can intelligently forward incoming calls to your mobile or any Fixed Line / GSM / WLL numbers. 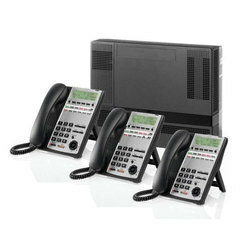 This allows interface of GSM (SIM) based connectivity as trunk line to the PBX . It facilitates the user to implement Least Cost Routing to dial mobile numbers on cellular network (GSM Port) thereby saving costs. 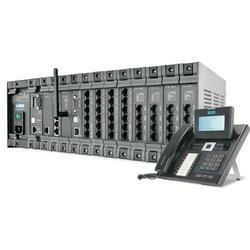 The system has the capability to capture CLI from both analog and digital trunks (ISDN) in DTMF as well as FSK format. SBDX displays the CLI information on both digital and analog ports throughout the duration of the call. Intelligent SBDX will even transfer the CLI of the calling party if call is transferred from one extension to another. SBDX memory can keep record of all incoming calls answered and unanswered by extensions. External call using DISA can be restricted to land directly on certain extensions. The system allows Auto redial of multiple numbers multiple times. Smart Switch with Sensor for remote activation of external devices* like air-conditioner, fan etc. Call pick up: Pick-up your call from any other extension and or Pick-up un attended calls. Class of Service: Program your phone to various combinations by entering the required number corresponding to the type of class. Dynamic Call Control and Barring: Lock your extension to prevent mis-use of phone or lock your extension to allow only local or no external calls. Looking for EPABX System ?